Friendship Tea: What is a Cream Tea? What is a Cream Tea? 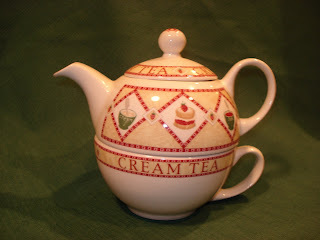 A "Cream Tea" is a pot of tea served with scones and clotted cream and strawberry jam. These are offered in tea rooms throughout England, especially in the South West. 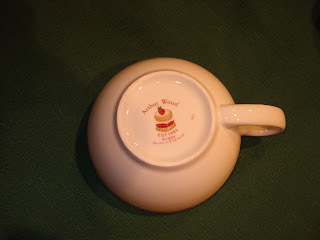 This is a photo of an Arthur Wood English tea-for-one teapot. What a treat you receive when you drink to the bottom of the cup! 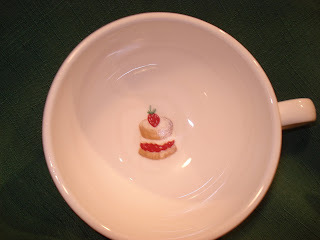 What a cute tea-for-one teapot! And I can't believe it's Arthur Wood -- great find!